Earlier topic: 10x15 Windmill Form Rollers? Yesterday I told a friend of mine that I probably would not post any pics of my new small press project, since I thought nobody would be interested. Well, I was wrong. 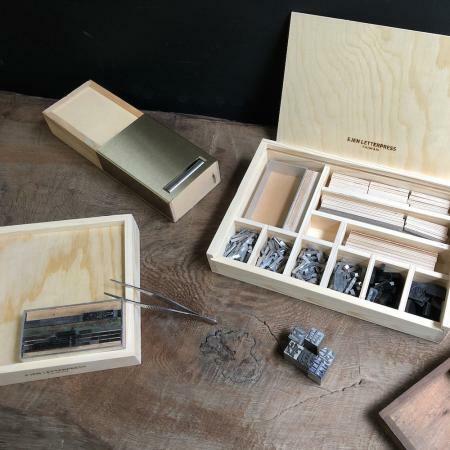 SO… here is a sneek peek at the little press. This is a pic of the bed, rails, and gripper bar (less the rest of the gripper assembly) as they appeared a few days ago. When the pic was taken, the metal was still “as milled”. Since then, it has received a nice brushed satin finish. The roller is in the lathe now. Next will come the carriage, the rest of the gripper assembly, and finally a nice hardwood base. As you can see it’s quite small…. with a 5x8 image area. That is just right for 4 up business cards, invitations, post cards, small leaflettes and so forth. It’ll also be great for teaching / demonstrating the black arts to students. Plus it’s been fun to build! Looks very nice! I’m looking forward to seeing the complete press. Thanks for sharing! Nice, looks very solid. You’re planning to do grippers? I have a gripper-bar from a Line-o-scribe 1411 that I plan to repurpose for a homebrew press, but I doubt I’ll go quite that heavy duty! 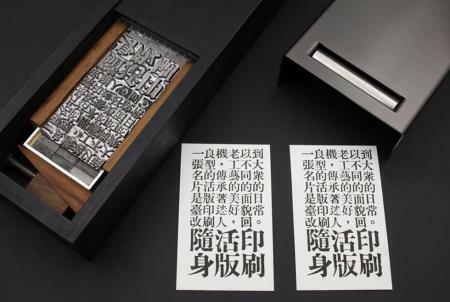 I had a friend in Taiwan buy me one of these, the Ejen Letterpress. It is even smaller, and comprises a wooden frame and a metal carriage with a metal cylinder. 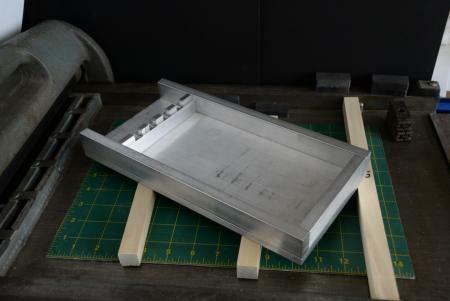 Kimaboe- yes, my press is going to have grippers. They are going to be just like the ones on my Showcard, but only have 4 fingers. I’ve seen the Ejen Press before…. and I think it’s a very clever design. I especially like the lock-up wedge system, ( visible in the attached photo for those who have never seen one before). Still in use today, long tapered wooden ‘sidesticks’ and two wooden wedges to control the columns of matter coming from the Monotype caster on the long galleys. Clearly an ancestor of the lock up you show or maybe as Chinese origin perhaps the ancestry is the other way round. Our ‘sidesticks’ were certainly in use way, way back here in the UK, long before machine typesetting, likely right back in Caxtons day, as his type may have been a tad tricky to tie up.